This entry was posted in Finer Fare, Laissez Eats and tagged Andante Dairy, Brooklyn, Brooklyn Fare, Caviar, Cesar Ramirez, Chave St. Joseph, Chef's Table, Chef's Table at Brooklyn Fare, Fine Dining, Gaston Chiquet Blanc de Blancs Grand Cru, Hiramasa, Jobard Meursault, Lobster, Madai, New York, Restaurants, Saba, Shima Aii, Soft-Shelled Crab, Three Michelin Stars, Tonka Bean Sorbet, Turbot, Uni by laissezfare. Bookmark the permalink. 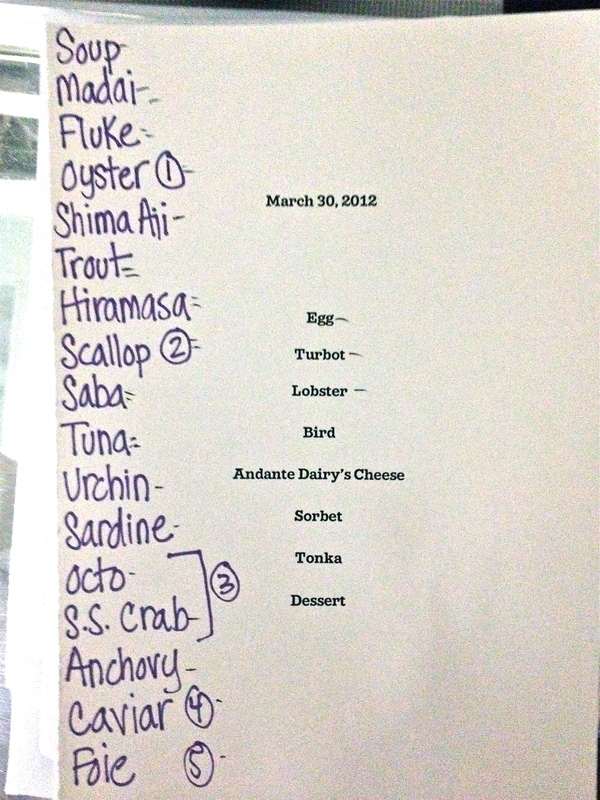 Haven’t been to Chef’s Table since the wine license came through. So, I’m wondering: how much did you spend on the wine? Given that the meal is $450 per couple, plus tax and tip, help me by revealing the true cost, including wine. Did you notice if any guests brought their own on the evening you were there (for a $50 corkage fee, max. two bottles, according to BF policy)? The Chave St. Joseph is not an expensive bottle of wine at the retail level: I’ve seen it for under $30. Hi, very happy to help. We had three wines. The first, Gaston Chiquet Blanc de Blancs d’Aÿ Grand Cru (MV), was $120. According to wine-searcher.com, it is usually priced somewhere between $40-$60/bottle, so at worst ~3x mark-up. The second, Domaine Antoine Jobard Meursault Premier Cru ‘En la Barre’ 2009 (which I believe was their last bottle), was $150. Web searches indicate it is priced at between ~$58-$72/bottle, so at worst about a 2.5x mark-up. Lastly, we had the Domaine J.L. Chave St. Joseph, which looks like it retails between around $52-$70/bottle (note: I believe the one[s] you saw selling for around $30 are not the actual main Domaine wine, but the Chave “Selection Saint-Joseph Offerus” or “Selection Saint-Joseph Celeste Blanc”)…leading to a worst-case mark-up of nearly 3x. 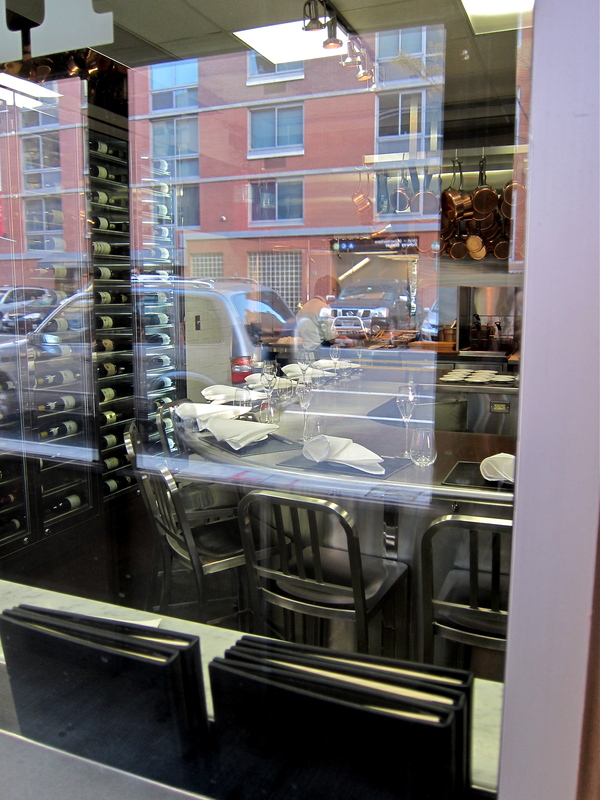 I believe a 2.5x – 3x mark-up is pretty standard at high-priced, 3*-type restaurants such as the Chef’s Table; while I would like it to be closer to the 2.0-2.5x mark, you are kind of at their mercy, unless you bring two bottles of your own. I didn’t notice anyone doing this, but it certainly could make sense for some. We were traveling from CT and were walking around Manhattan all day, so it wasn’t practical to bring bottles with us…otherwise I would have definitely considered bringing two of my better ones along for the ride! Thanks so much for taking the time to provide such a detailed reply. In summary, the meal ended up costing you another $100-125 per person, with wine and tip. 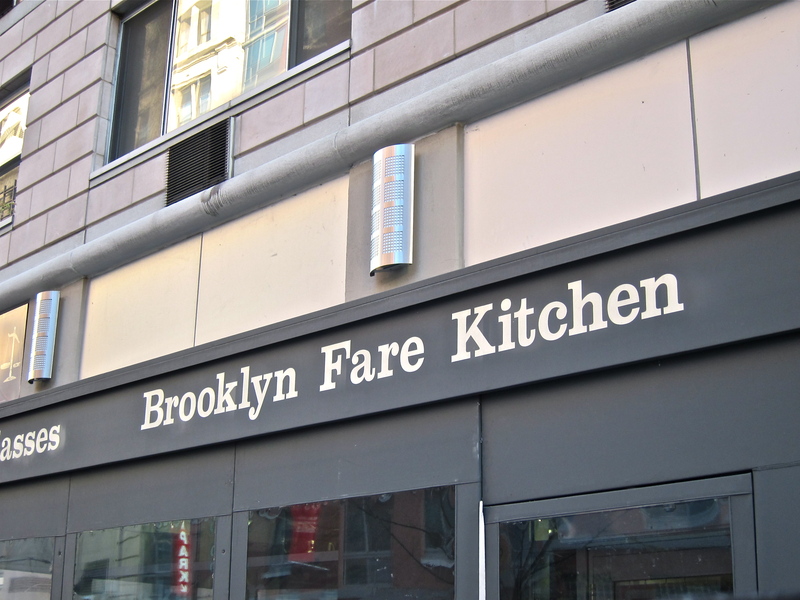 I remember my first visit to Brooklyn Fare, shortly after its opening, when a meal cost $59. My last meal there (I’ve been there five times, including once with 102 fever…I wasn’t about to give up my seat) was for $185. I think that I will certainly go back, as my meals there were among the most memorable of my live. However, as a wine collector, the BYO was always a big plus…and the key to getting others at the table to interact with one another. I always brought enough wine to share and getting up and pouring a taste for others opened the door to some nice conversation. When all is said and done, it’s a $1000 per couple experience, one that can only be embarked upon on those very special occasions. The image of the menu, however, prompts me to look for an upcoming special occasion! Hmm, I make it out to be closer to +$150 per person ($105 for wine and $45 for 20% tip) – am I doing something wrong? And this still excludes tax. Anyway, lucky you! Especially when it was only $59 for the menu! I can totally imagine who the BYO would loosen up the whole affair, and make it more of a communal experience. Do let me know what you think when you next have the pleasure to dine there. So, at $225 per person, plus $105 (wine), 20% tip and 8-plus percent tip, I get $851.40 a couple. No question that the experience is worth it. Just have to cut corners on other expenses and save for a few months. Now, which wines to bring…..? Went there two days ago, interesting experience indeed, although as you said we could not take notes or photos, which is rather frustrating. Also had gold with our amazing dessert, raspberry sorbet this time. Did you enjoy the meal overall? How would you rate the food in general? As amazing as the dessert?